Assistant Professor (status only) Jared T. Simpson is a principal investigator in the Informatics and Bio-computing Program at the Ontario Institute for Cancer Research (OICR). He is the lead author of new research published in Nature Methods. A team from the Ontario Institute for Cancer Research, University of Toronto and Johns Hopkins University, detailed their promising new method of detecting the presence of an extra mark on DNA called cytosine methylation. 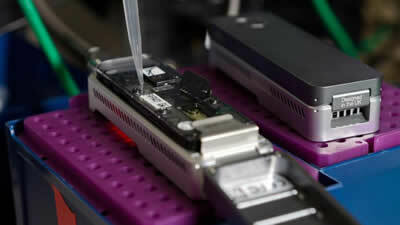 The new software described in Nature Methods is used with a commercially available nanopore sequencing device. The authors say this technique will directly characterize DNA methylation from smaller tissue samples. “We show that with careful analysis of nanopore sequencing data we can extract this extra layer of information,” said Simspon in a press release.